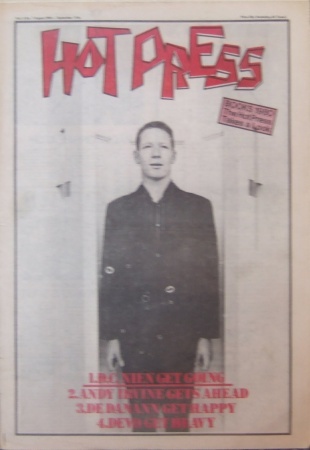 Memorable cover photo for In Dublin magazine, March 1980. 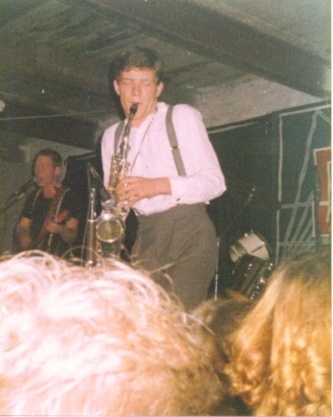 Named after the north Dublin city district (Dublin 9) which spawned them and in tribute to their German Musik influence (a mispelled 'nein'), DC Nien were unusual by 1977 standards, incorporating sax & synths and an unorthodox approach to songwriting, mixing elements of Hawkwind and Roxy Music in a sound which anticipated of post-punk, and were reputedly an awesome live band by 1978-79. 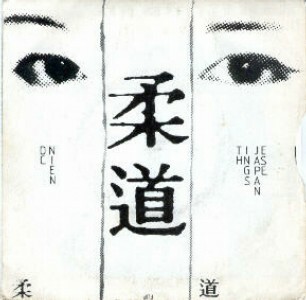 By 1981 they had changed beyond recognition and become new pop new romantics Tokyo Olympics. 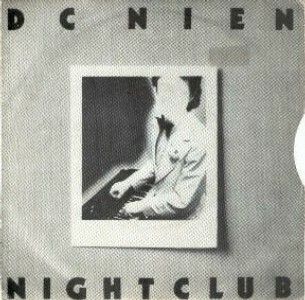 DC Nien were one of the big Dublin bands of their time, rivalling U2 and The Atrix in popularity. Guitarist Paul McGuinness had been a roadie for the Radiators From Space at their first gig in November 1976, by which time he'd already formed DC Nien and was full of confidence about the band. 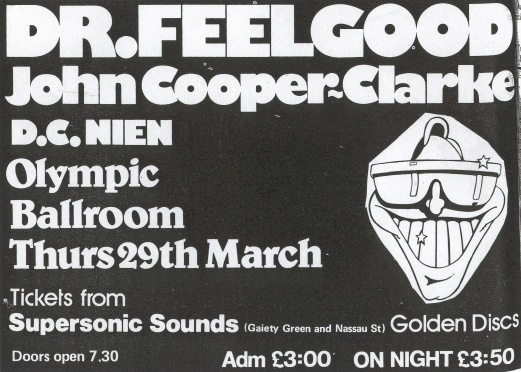 DC Nien supported Ian Gillan at UCD in 1978 (with Sonny Condell on the bill); toured Ireland as support to XTC in 1979; opened for AC/DC the same year; they were mentioned regularly in the UK music press' coverage of the Dublin music scene and were one of the main bands covered in Dave McCullough's "Coming Up For Eire" piece in Sounds magazine in September 1979; and they played the Dark Space (1979) and Sense of Ireland (1980) festivals; does anyone recall an outdoor performance in Mountjoy Square during the summer of 1980? 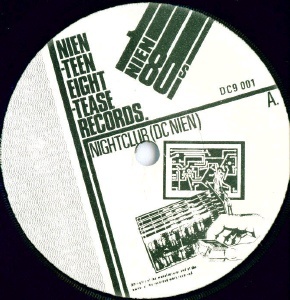 ; they also launched their own Nienteeneightease label in 1980. 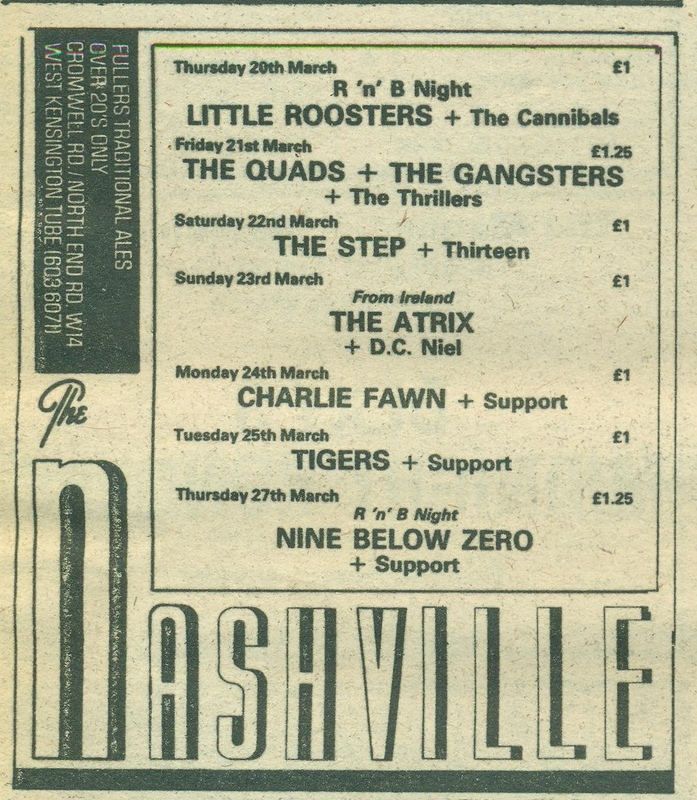 Supporting The Atrix at The Nashville in London on Sunday 23rd March 1980. 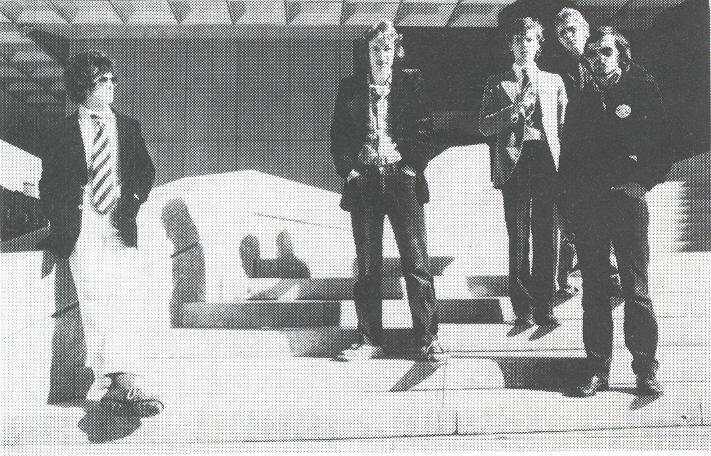 DC Nien made their vinyl debut in December 1979 on the Just For Kicks compilation LP and self-released their excellent single a couple of months later in February 1980. All three tracks ("Reptile", "Nightclub" and "Things Japanese") are highly recommended. This was followed by a cassette only release "The Red Tapes" containing live and demo recordings. Despite uneven sound, it is also excellent and well worth tracking down [if anyone has a copy for sale, please get in touch!]. All this material is ripe for CD reissue Paul! It was well received at the time and expectations were high. But the expected breakthrough didn't happen. 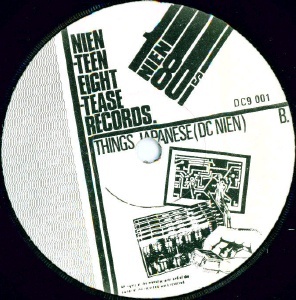 Punk became post-punk, new wave, new pop, new romantic... and DC Nien, with the addition of a couple of ex Fast Skirts (Joey Cashman on saxophone and John 'Sarge' O'Hara replacing Brendan Gannon on keyboards) became Tokyo Olympics, sometime around Christmas 1980. 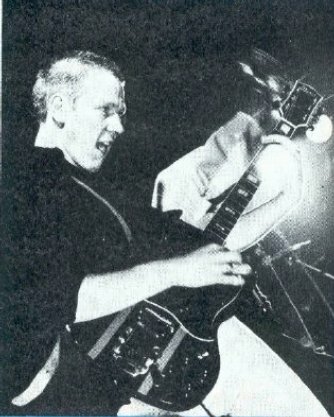 Early member Paul Duffy was later in The Xn-trix. There are undoubtedly several early demo tapes. Details unknown; Hot Press mentions "Living At Risk", "Reverberation", "Master of the Universe"
The recordings were made by October 1979 but the singlers release was delayed until 1980 due to "technical difficulties". The actual release date may be slightly later than show, March or April. Recorded at Windmill Lane Studios. Produced by Tony O'Meara and Donal Lunny with assistance from Ross Fitzsimons. Excellent cover design by Rapid Exteriors AKA Steve Rapid. Approx 1500 copies sold. 1-2 recorded 26 June 1978 at Cuckoo's Nest Studio, engineered by Philip Begley. 3-4 recorded 12 February 1979 at Keystone Studio, engineered by John Burke. 5-6 recorded 9 February 1980 at Windmill Lane, engineered at Paul Thomas. 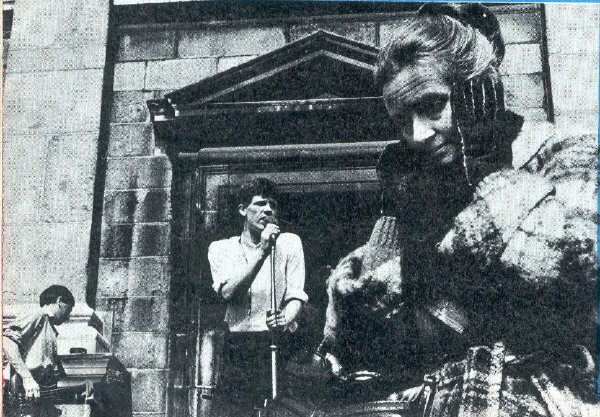 7-8 recorded in May 1980 at Porcupine, engineered by Jim Breen. 9 recorded 22 March 1980 live at RTE studios. 10 recorded 20 October 1980 at Windmill Lane, engineered by R.Kennedy. Track 9 was broadcast during an episode of Ireland's Eye on RTE 2 in October 1980. Track 10 was planned as a B-side for a single which never came to pass. Tracks 1-4 represent a DC Nien as different from the present band in attitudes and awareness as much as in musical proficiancy. The one dimensional production of these first tracks matched the one dimensional songs; what you're hearing are relics of a time when the bands awareness on all levels was much less than it is today. "Black Jet" was quickly dropped from the set, tracks 2-4 surviving in the present set only in heavily modified form, their sparse outlines fleshed out and revamped to match the 'demanding' standards set by the latest material. "Mutants" especially is presented here in a form unrecognisable as the precursor of the song as performed today on stage, generally played as an encore as an extended piece heavy on mood and improvisation, it's purpose is to turn the accepted nature of "the encore" on it's head, the band refuising to come on stage and "rock out". Should the fact that these tracks as presented here are in many ways now obsolete annoy you, make you feel cheated, then you're missing the point of this tape. This is no slick PR job. It's a point of reference for the changes that have been effected. And those that are coming. Think of this compilation as being like a photo of a city street befote the "developers" move in; things will change so fast that you'll lose all bearings as landmarks are obliterated and new patterns emerge. Unless you've got a fixed point or idea of the original pattern. And changes are coming. 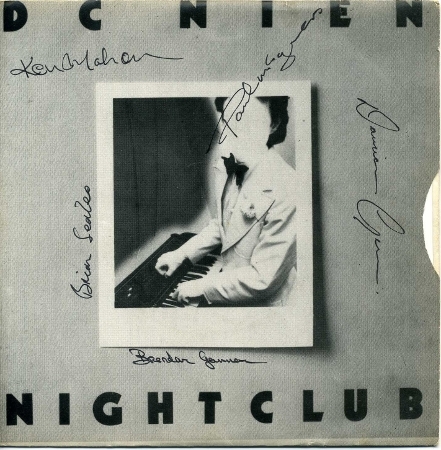 These are new ideas, new directions and new influences being drawn in and discussed by the band and their eventual impact on the current "DC Nien Sound" can at this stage only be guessed at. So keep guessing. 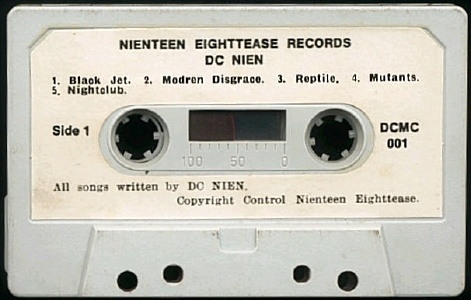 DC Nien won't keep you waiting.